The most common black-coloured butterflies and photos of the most popular black butterfly in the world. The (eastern) black swallowtail, American swallowtail or parsnip swallowtail, is a butterfly found throughout much of North America. It is the state butterfly of Oklahoma and New Jersey. The species is named after the figure in Greek mythology, Polyxena, who was the youngest daughter of King Priam of Troy. 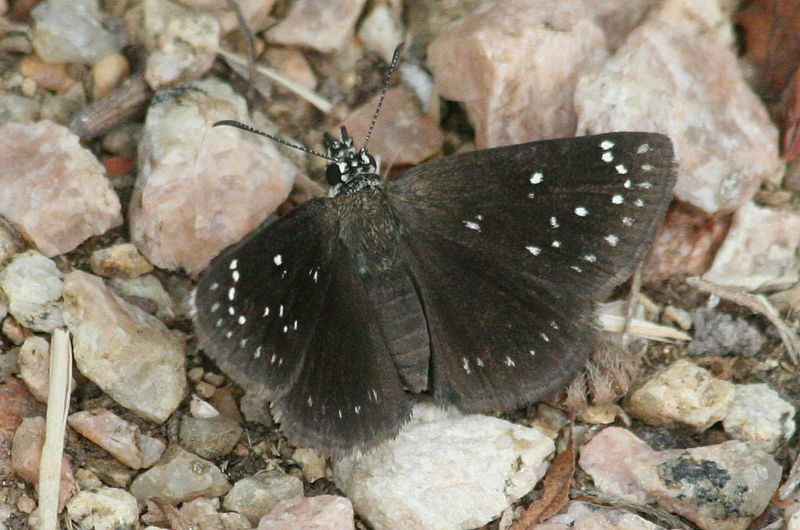 The common sootywing , also called the Roadside Rambler, is a butterfly of the family Hesperiidae. It is found from the central parts of the United States, south to central Mexico. Strays may colonize up to southern British Columbia, northern Michigan, southern Quebec and southern Maine. It is not found on peninsular Florida. The zebra longwing or zebra heliconian, is a species of butterfly belonging to the subfamily Heliconiinae of the family Nymphalidae. It was first described by Carl Linnaeus in his 1767 12th edition of Systema Naturae. 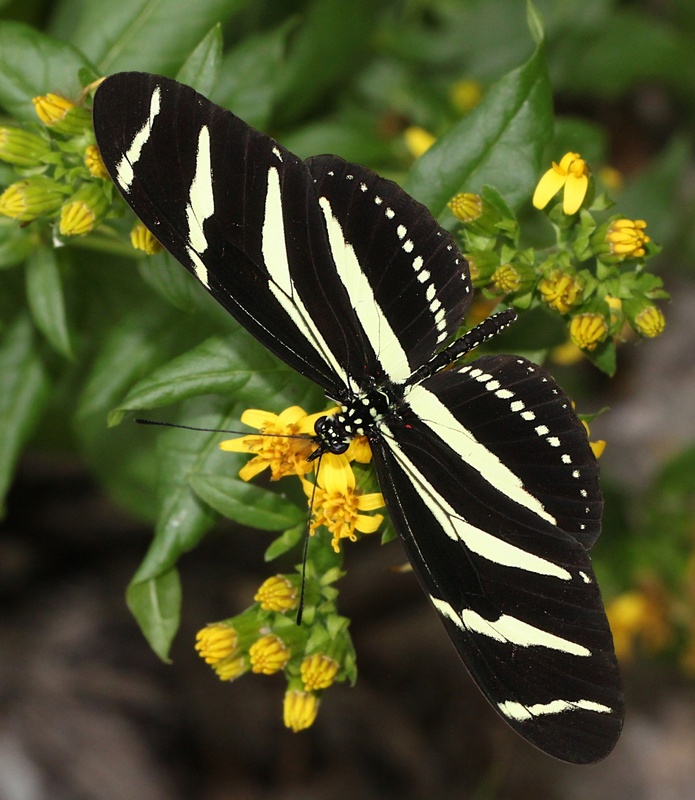 The boldly striped black and white wing pattern is aposematic, warning off predators. The spicebush swallowtail or green-clouded butterfly, is a common black swallowtail butterfly found in North America. It has two subspecies, Papilio troilus troilus and Papilio troilus ilioneus, the latter found mainly in the Florida peninsula. 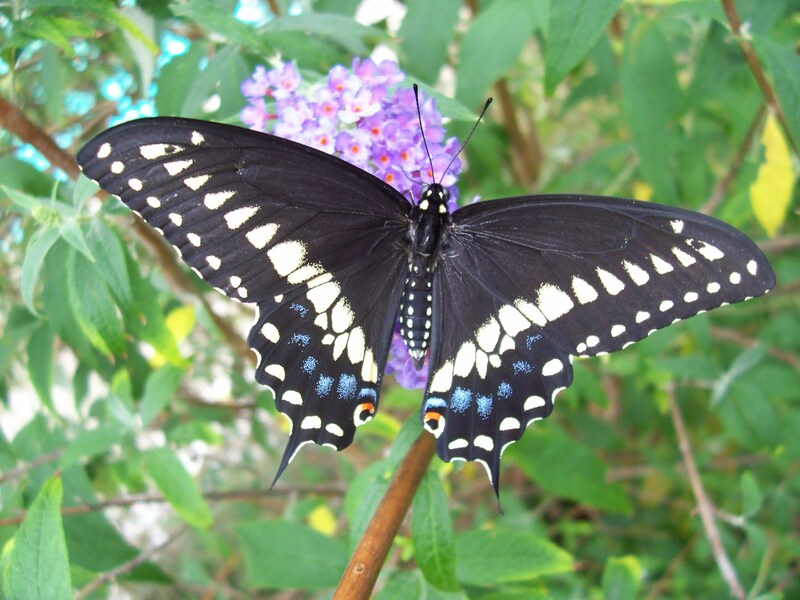 The spicebush swallowtail derives its name from its most common host plant, the spicebush. The family to which spicebush swallowtails belong, Papilionidae, or swallowtails, include the largest butterflies in the world. The swallowtails are unique in that even while feeding, they continue to flutter their wings. Unlike other swallowtail butterflies, spicebushes fly low to the ground instead of at great heights. 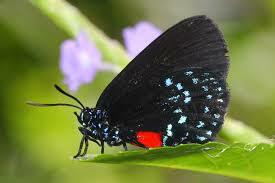 The Atala butterfly, also called the Coontie Hairstreak, is a small colorful butterfly in the family Lycaenidae. It is found in southeastern Florida, the Bahamas, Cuba, the Cayman Islands, and probably on other Caribbean islands. Its coloration and habits are unique among butterflies within its range.